Nill Family Chiropractic is truly a family practice with the goal of helping you and your family enjoy optimum health with gentle, all-natural, and non-invasive treatments. As the grandson of the late Dr. John H. Nill and the nephew of Dr. Thomas G. Nill, our Fort Wayne chiropractor Dr. James Nill continues the family tradition of health care and healing. Our services range from spinal adjustments to massage therapy, and we tailor each treatment plan to suit your individual needs. Helping individuals and families achieve overall wellness is one of our main goals, and we meet that goal through our variety of services. Prevention is one of the keys to our success, and we can design a plan that helps stave off ailments before they even begin. Existing conditions that can benefit from our chiropractic care include food allergies, sinus problems, fibromyalgia, sciatica, stress, tension, fatigue, and carpal tunnel syndrome. Our Fort Wayne chiropractor is here to help you and your family you achieve the optimum health you deserve. 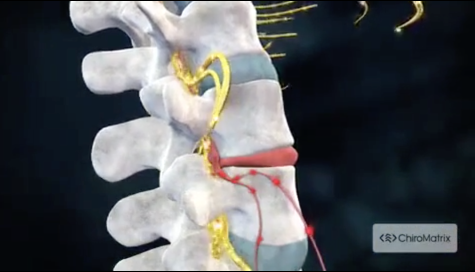 Often a problem with the back or spinal condition can lead to pain other parts of the body. A headache, for example, can stem from a misalignment in the spine, as can pain or tingling in other areas of the body. Our chiropractic techniques can help correct spinal issues and alleviate headache, disc herniations, numbness and pain in the arms and legs, and other conditions resulting from improper alignment. Our techniques include spinal adjustments as well as some applied kinesiology, flexion and distraction, and activator-type therapy. Pain management is one of our most sought-after chiropractic services, especially for chronic conditions such as fibromyalgia and arthritis. We also offer treatments for neck and back pain that can stem from a wide array of causes. Auto accidents can lead to whiplash, with a strain in the neck area, while sports injuries can also result in a muscle, tendon or ligament strain or sprain. Our treatments can help alleviate pain caused by personal injuries, including those that arise from improper lifting to others stemming from chronic poor posture. Our services also go far beyond the back to help treat the entire body. Our Fort Wayne chiropractor offers neuropathy using an infrared device that can help improve circulation, custom-molded orthotics to improve walking gait and posture, and physical therapy for injury recovery and mobility restoration. Our massage therapy is another wellness service that also helps heal injuries. Different types of massage therapy are geared to help various ailments, with all of them serving to release tension and stress while they improve circulation. Massage therapy can be a beneficial addition to a wellness program, offering physical and mental benefits. For more information about our services or to schedule an appointment, call us at 260-459-2205 today. "Very professional and friendly. It doesn’t take long to make this your go to chiropractic clinic. Love the staff!!!" "Dr. Nill has been my chiropractor of choice for several years. My back always feels better after my adjustments." "I was out in alot of places my shoulders, back and hip and neck... He made me feel alot better.. And the staff there is great and very friendly"